Pranay Krishnan, MD, is an assistant professor in the Department of Radiology and the director of Body CT at MedStar Georgetown University Hospital. 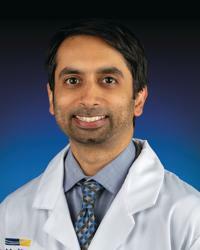 Dr. Krishnan is board-certified in diagnostic radiology. He has expertise in imaging of the body utilizing CT, MRI and ultrasound. Dr. Krishnan's clinical interests are genitourinary imaging, including prostate MRI; cardiothoracic imaging, including cardiac CT and chest CT; liver MRI, and percutaneous image-guided biopsy. He has published numerous articles on his research.